One of the most radical Muslim confessions is on an aggressive campaign of preaching ultra-conservative Islam in Germany. Protected by the freedom of religion act, they spread a message that raises concerns within German society. 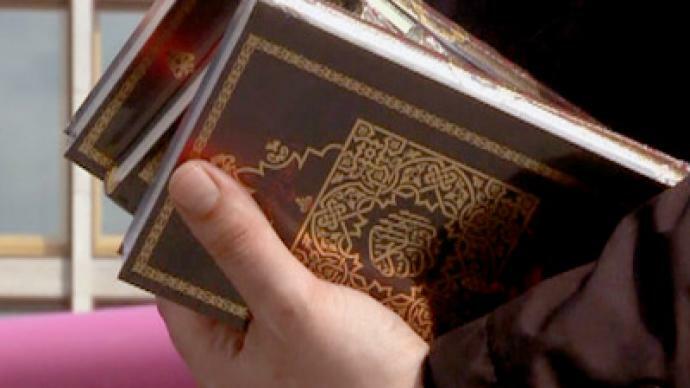 The Salafist community in Germany organized a campaign with long-term goal to put no fewer than 25 million copies of the Koran into German homes. 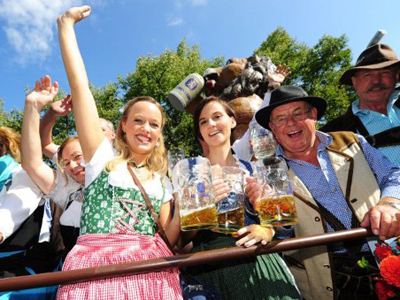 Over 300,000 copies have already been handed out from over 100 special booths across most parts of Germany. Tolerant Germans do not object to the distribution given that if the Bible can be distributed, the Koran should be subject to the same conditions. For them, afternoon namaz prayer on the sidewalk in central Berlin has become something not out of the ordinary. It is not the matter of how the Koran is being distributed, but rather who is behind the distribution. The group behind the Koran distribution in Germany is the radical Salafist Muslim "True Religion" network led by Palestinian preacher Ibrahim Abou-Nagie, one of Germany’s most-influential Salafist leaders, who has already been charged in Cologne with inciting the public to commit illegal acts. The Salafist movement is known for its strict interpretations of the Koran and an association with jihad, the holy war against non-believers. 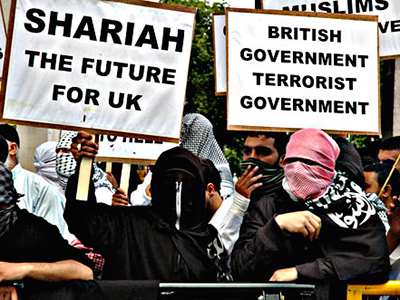 Adherents of conservative interpretation of Koran advocate punishments originally implied by the traditional Muslim societies, including amputation of limbs, beheading and stoning. All those penalties are not exactly constitutional in united Europe. German Federal Office of Constitution protection has come to a conclusion that Salafist traditions do not comply with the German constitution as the Salafists deny democracy basic principles, human rights and gender equality. There are passages in the Koran about violence, especially against women, who are not protected by Sharia law as men are. Also, violence against the unfaithful is acceptable. Still, all that depends on interpretation of the holy texts, which Salafists are known to take to the extreme. “I do believe these people are dangerous. They don’t just teach Islam, which is OK, but they are trying to draw the youth into a specific interpretation which promotes violence,” Claudia Dantschke from the Center of Democratic Culture, explained to RT. 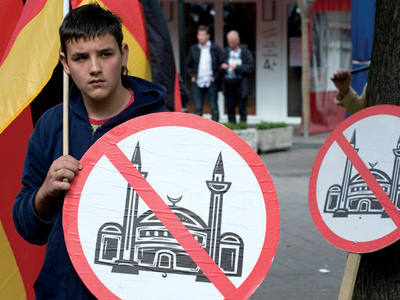 ­German authorities are constantly monitoring mosques and gatherings of 2,500 Salafists registered in Germany. Some see Salafist Koran distribution as a mere PR act, but some also fear that aggressive missionary campaign could make young people fall under extremist Islamic influence. In 2007 the so-called Sauerland terror cell in Germany posted three videos threatening to carry out terror attacks. Four terror suspects, 20- to 30-year-old German-born Turks, were actually preparing homemade bombs to carry their threats out but were arrested by the German police before performing anything. The distribution of religious literature, which the Koran actually is, is protected by the German constitution, being part of the right to the freedom of opinion and religion – as long as it does not promote violence or hatred. For now, the only legal thing for the German authorities is to interfere when violence fueled by religion erupts, as happened in the German town of Solingen on May 1. A group of Salafist Muslims attacked police being provoked by the anti-Islamic Pro NRW march, displaying cartoons of the Prophet Mohammed, including one of those notorious pictures drawn by Danish cartoonist Kurt Westergaard in 2005. Strict Muslims oppose any depiction of their prophet. Despite official warning that their public stunt could spark violence, the far right rally was organized near a Salafist mosque in Solingen. In an attempt to stop a small demonstration of the far-right protected by police, Muslim radicals breached a police perimeter, injuring three officers and a passerby by throwing stones and wielding poles from protest banners. Police opened a criminal investigation against 81 Salafists on suspicion of dangerous bodily harm and breach of the peace.